I wanted to reflect in our design Tiffany’s well-known technique – the way face of jewelry is cut – the stone is slightly lifted up and the light can come in from the back of the stone. I was always interested in the relation between jewelry and light, as jewelry shines because of light. 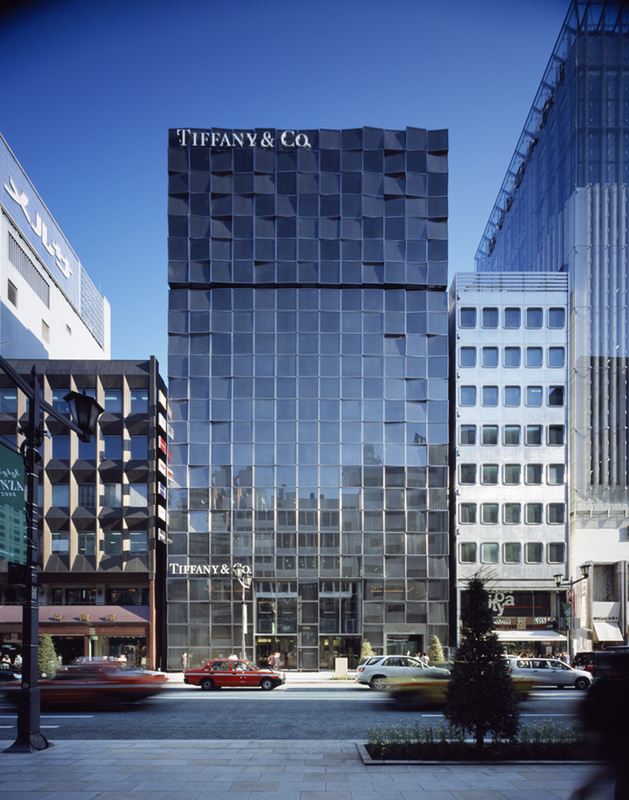 The attraction of Tiffany jewelry is exactly this, and I wanted to express their delicate transparency in this architecture. It is also important that this shop is located in Ginza. 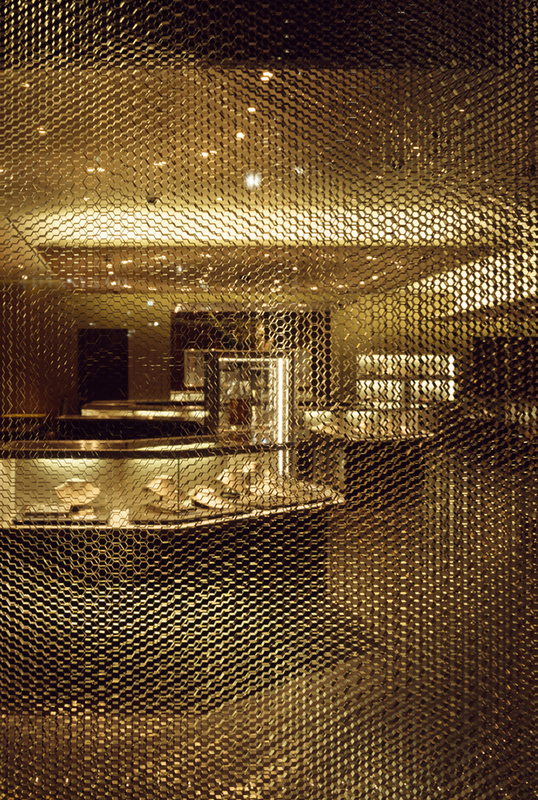 Ginza is the most sophisticated, chic district in Tokyo. 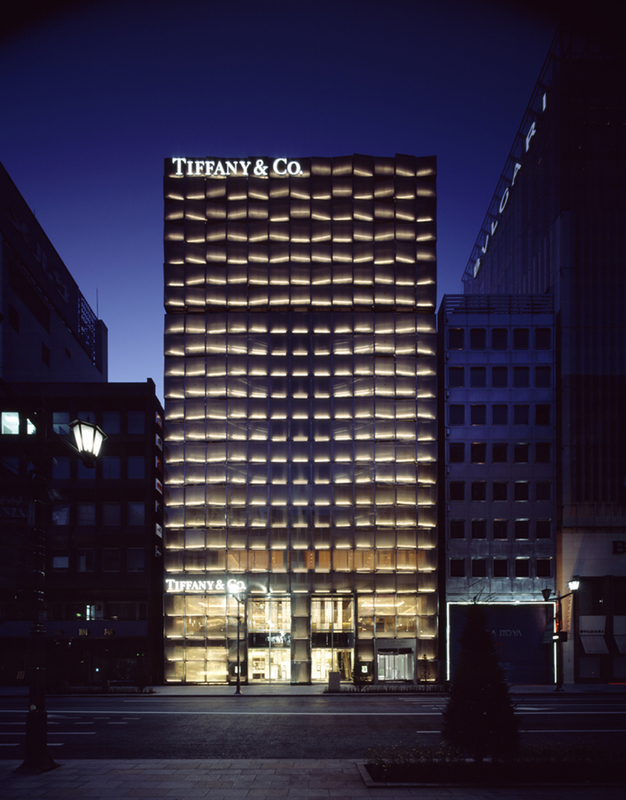 Although Ginza streets are nowadays covered with new noisy buildings, the design of Tiffany responds positively to the identity of Ginza. 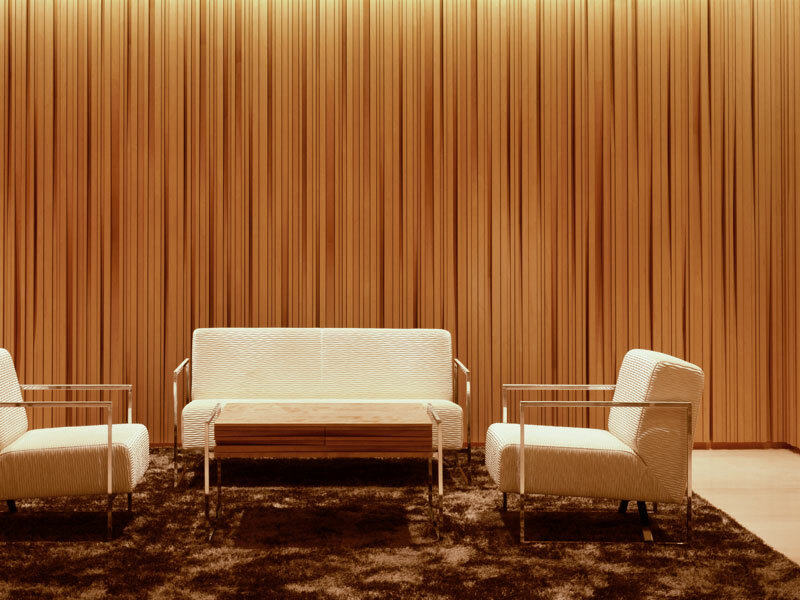 In every respect, light was the key to this project. 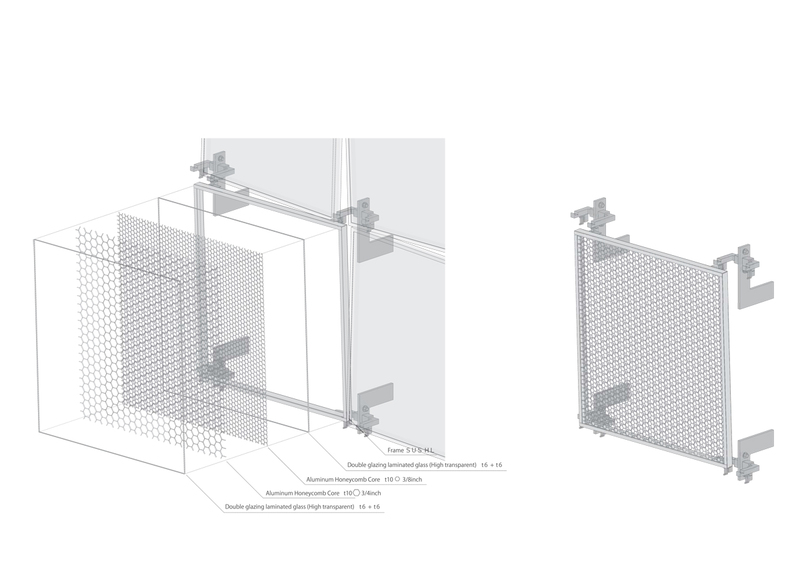 First, we focused on the 80cm-gap between the existing building and the site boundary. Into the gap we fitted a set of 292 special panels (facet panels) made with glass and aluminum honeycomb. 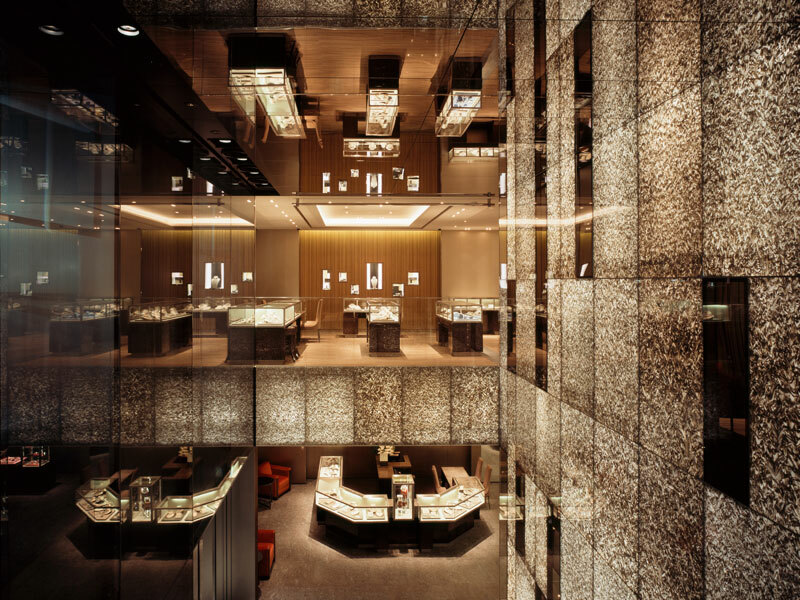 Each panel is arranged in varied angles in order to penetrate and diffuse the light like a carefully-cut diamond, which would enhance the elegant atmosphere in Ginza. 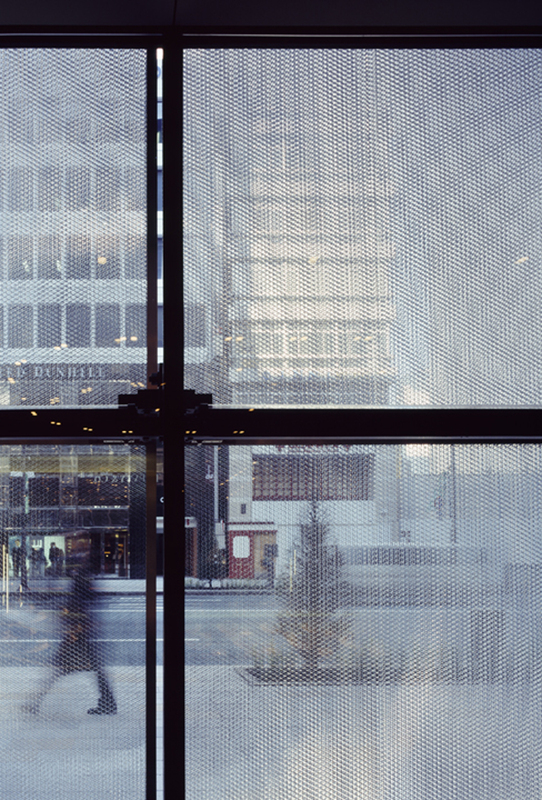 Our intention for the interior design was to create a space full of soft and translucent atmosphere, by abundantly taking in the light from outside, while your sightline is gently blocked by the facet panels. Visitors to the building will enjoy not only beautiful jewels of Tiffany but also a variety of subtle lights from the town.